Cannabis is a wonderful plant with many therapeutics uses, understanding a bit of the chemistry of cannabis and how it works in the body can help us to appreciate what it can do for our overall health and wellbeing. Cannabinoids are the chemical compounds of cannabis, the highest concentration is found in the resin, a sticky substance secreted by the trichomes of the cannabis flower. Cannabinoids work by binding to the cannabinoid receptors- CB1 (expressed mainly in the brain and central nervous system) and CB2 receptors ( mainly in the immune system and hematopoietic cells) throughout our body, a part of the endocannabinoid system. The endocannabinoid system is a very complex regulatory system that regulates many functions such as; digestion, memory, immune response, bone growth, pain, blood pressure, appetite among many other things. Cannabinoids start out as acids and over a long period of time, or very quickly upon heating through smoking, vaping or cooking; a process called decarboxylation, they turn into their chemically neutral state (example THCA becomes THC) and this it what gives THC is psychoactive property. In its raw form cannabis is non-psychoactive. Be the first to know about contests and giveaways, receive exclusive promocodes just for subscribers and learn about upcoming cannabis events. THC (tetrahydrocannabinol)- the most abundant cannabinoid and what gives you the euphoric "high" feeling, THC is the mind altering cannabinoid however it has many medicinal uses as well including; appetite stimulant, pain management and depression. CBD (cannabidiol)- The second most abundant cannabinoid doesn't cause intoxication. CBD has numerous therapeutic uses including anxiety, pain and anti-seizure. CBD interupts THC from binding to the CB1 receptor, making it effective in reducing THC side effects. CBN (cannabinol)- this cannabinoid is not created in the plant, it's what THC turns into when it ages and is exposed to oxygen and light. CBN acts like a mild sedative and is great for treating insomnia. Most strains have less than 1% however more products are being created with higher levels of CBN. One of the advantages of using that old dried out cannabis is it's higher levels of CBN. 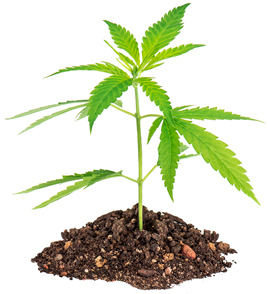 CBG (cannabigol)- THC and CBD are created in the cannabis plant from the precursor CBG. It's non-psychoactive and in recent research shows potential as a potent appetite stimulator and possible treatment for irritable bowel disease and glaucoma, however more research is needed. CBG is found in less than 1% of the strain. THCV (tetrahydrocannabivarin)- also known as varin, this cannabinoid is similar to THC, it's psychoactive however it may be an appetite suppressant, helpful with weight loss, also with anxiety and panic attacks. Most strains only have trace amounts however strains are now being developed with higher amounts of this cannabinoid. Meanwhile look for African sativa strains for higher amounts and set the vaporizer to its boiling point 428f/220c. There's other cannabinoids that are being researched for their potential therapeutic uses, however it's believed that all of the cannabinoids need to work together to achieve optimal results, this is known as the entourage effect . It's thought that all of the cannabinoids work together in a synergistic way, kind of like an orchestra. Just like all of the instruments are crucial to the overall sound, all of cannabinoids need to be present for its greatest potential. You'll also hear this referred to as whole plant therapy or full spectrum on products. Terpenes or "terps" for short occurs naturally in many plants and is what gives them their unique aroma and flavour. 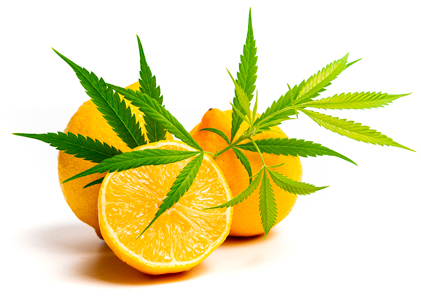 Cannabis strains have a terpene profile that gives that strain its signature taste and smell. However terpenes play a bigger role than just smell and taste, they have health benefits as well. Terpenes are believed to be a crucial player in the entourage effect and aids in the role of that strains effects such as appetite, pain and mood. Visit our page Terpenes Explained to learn more. Did you know you can't die from an overdose cannabis? There's never been a fatal overdose of cannabis and that's believed to be because cannabinoid receptors aren't in the part of the brain that controls breathing. That being said, not everyone should use cannabis, there's medical reasons why cannabis might not be a good idea especially for people with heart issues or on certain medications. If this is you, talk to your doctor before using cannabis. "Even aspirin can kill you if you take too much, but a fatal dose of marijuana would require ingestion of fifteen hundred pounds in fifteen minutes -- a physical impossibility for any human, even Snoop Dogg,"
The side effects can get much more pronounced if you've consumed too much THC, similar to alcohol you need to know your tolerance. If you drink too much alcohol you can become violently ill, black out and slur your words. When you take too much THC you can hallucinate and it can make your heart race and induce paranoia ( the main reason why people end up in the hospital). Too much THC can cause nausea and vomiting. Although it can feel bad and a bit scary, it can't kill you. Once it wears off the side effects disappear. If you have a serious heart condition or issues with blood pressure, consult with your doctor before taking cannabis. THC can increase your heart rate and it can cause fluctuations in blood pressure from sitting to standing. THC can cause dizziness. Consult with your doctor first before trying cannabis if you have serious issues with vertigo and fainting. Ok, so you overdid it on the THC and now your body is in full fight or flight mode. Remember your mantra if you ever accidently overdo it on THC. Relax- find a calm environment and breathe deeply. Distract yourself; watch TV or look up funny cat videos on your phone or lie down and close your eyes. It will pass- Smoking or vaping will wear off in about 20 to 30 minutes on average. Edibles can take up to a few hours. Take CBD: Vape pens will be legal eventually and they're handy to have on hand in case you overdo it on THC. Before taking edibles take a dose of CBD in pill form, around 25mg and top up as needed. CBD reduces the side effects of THC.